This Valentine's Day, treat your loved one to a luxurious getaway in the heart of Downtown Los Angeles. 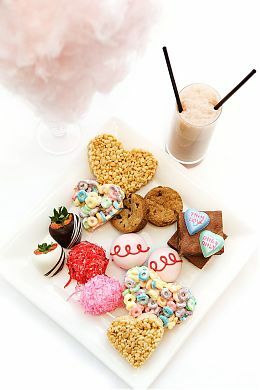 Let JW Marriott pamper you and your Valentine with exquisite accommodations and personalized service. Indulge in a special Spa menu all month long, featuring a Chocolate & Cherries Side-by-Side Massage and a Chocolate Dipped Strawberry Pedicure. Stay the night, and enjoy our Exuberance Spa Package, complete with a $100 Spa Credit and overnight valet parking. Book this package during February, and receive a complimentary sweet treat amenity upon arrival. Celebrate a night on the town with a special 4-course menu at LA Market Restaurant by Kerry Simon, or eight delectable courses at WP24 Restaurant & Lounge by Wolfgang Puck. Top it all off with a night out at L.A. LIVE, with Martina McBride at Nokia Theatre L.A. LIVE and the Lakers vs. Hawks at STAPLES Center. The Mixing Room Cocktail Lounge, located just steps from STAPLES Center, the annual locale for the famed GRAMMY Awards, will feature five specialty cocktails, each inspired by an "Album of the Year." Offerings will include "Born this Way" in honor of Lady Gaga, topped off with an egg white as a nod to her infamous arrival to the 2011 GRAMMY Awards. Other nominee-inspired cocktails include "21," a twist on the classic Pimm's Cup, as a nod to Adele's British heritage, and "Wasting Light," a rockstar salute to the Foo Fighters. Each cocktail will be offered February 1-12 at The Mixing Room Cocktail Lounge for $14 each. 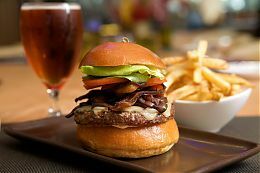 The Mixing Room offers a special Burgers & Brews menu, starting at 4pm every Kings home game day. 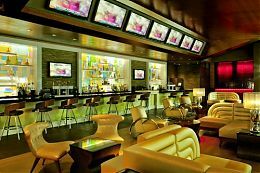 Guests can choose any burger and any draft beer combo for $15.00 and enjoy all the pre-game coverage on one of The Mixing Room's ten 50" televisions. 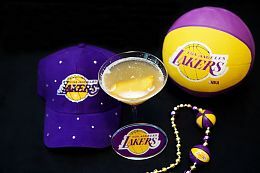 Come out and support your favorite L.A. team at The Mixing Room with the Lakers vs. Clippers Cocktail Showdown. Specialty cocktails for each team will be offered for the duration of the NBA season, and at the end of the 2012 NBA season, The Mixing Room will tally the number of cocktails ordered for each team. The winning team's cocktail will earn a permanent spot on The Mixing Room's menu until the 2013 NBA season begins. Cocktails are available nightly for $14 each.